austraLasia - 5040(II)_"What a joy to see all the computers turned on!" 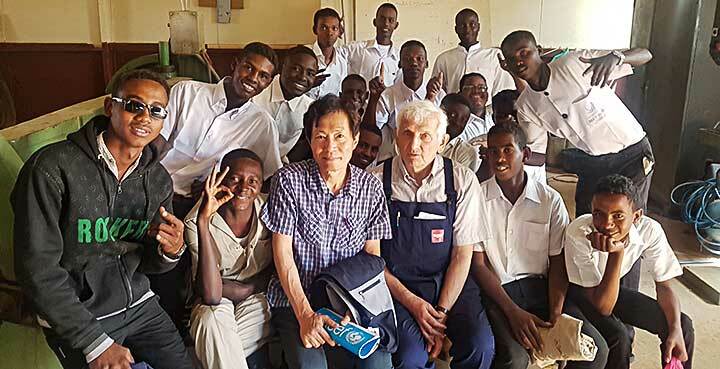 Seoul, Korea, 18 March 2019 -- As has been the case in other years, past pupils from the Don Bosco Centre in Seoul have rallied to help Salesian vocational centres elsewhere, this time in Khartoum and Elobehid, Sudan. Working closely with Mr Lin Chanwoo, a past pupil from Batch 7, I (Bro. 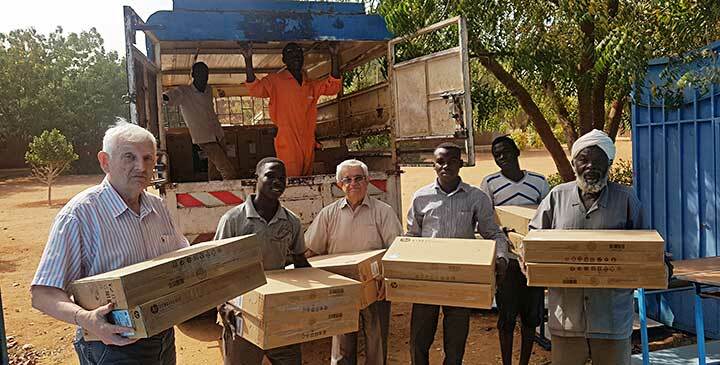 Marino Bois), spent 7 weeks in Sudan at these vocational training centres, repairing machines, helping the teacher find an easy way to make tools. We opened a classroom sponsored by our past pupils from the Seoul Don Bosco Centre, with 15 computers to teach CAD (Computer-Aided Design). 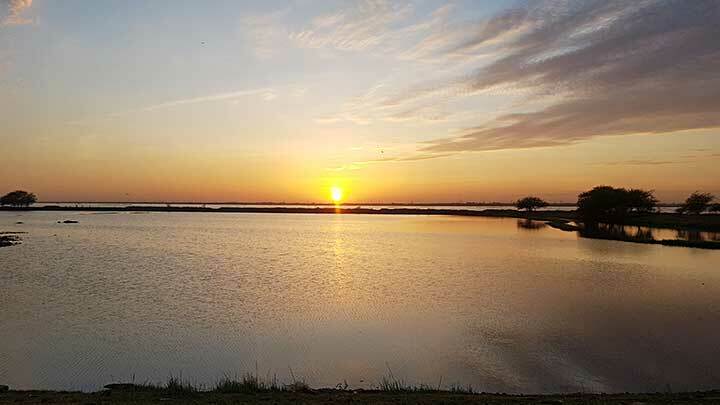 I had to give lessons to the teachers and prepare them to teach to the students. 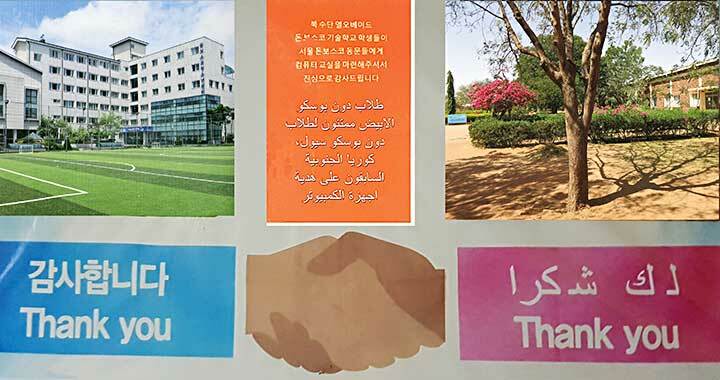 Another good person, a Korean woman, sponsored a classroom with 20 computers to teach the boys how to use the keyboard to type in English and Arabic, and the basic functions of the most commonly used programs. What a joy it was to see all the computers turned on together! 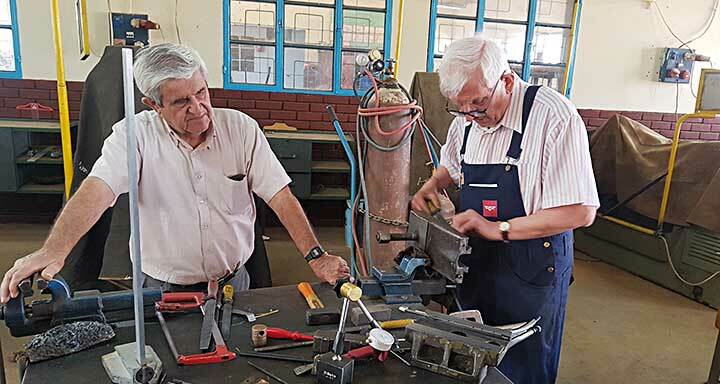 Our missionary activity, supported by our past pupils, has grown each year, and as a result, last year we were able to provide two new lathes. These were the only two new machines they had received since their school began. The school was founded by Salesians Father Vincenzo Donati, and the Comino Brothers, Jim and Andrew. Due to lack of funds they could only purchase second-hand machines. As time passed, the old machines get older and developed many problems. So every bit of help from outside is really welcome. 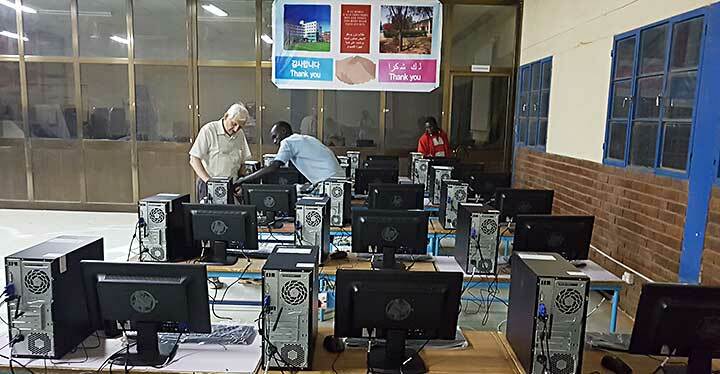 On our way back we stopped over for one week at the St Joseph's vocational training centre in Khartoum. I was there in 1991–1992, and there too the school only had a small budget, and we could only buy second-hand machines. After we recruited 20 young people, I taught them for four months, then Bro. Jim Comino took my place. In collaboration with Fr Vinvenzo Donati he developed the school till it was taking in 300 students. They also had a request from the local police to also teach the boys from the prison. That very morning two military trucks arrived at the school full of boys and policeman as well who were willing to learn the skills offered in the special courses prepared for them. 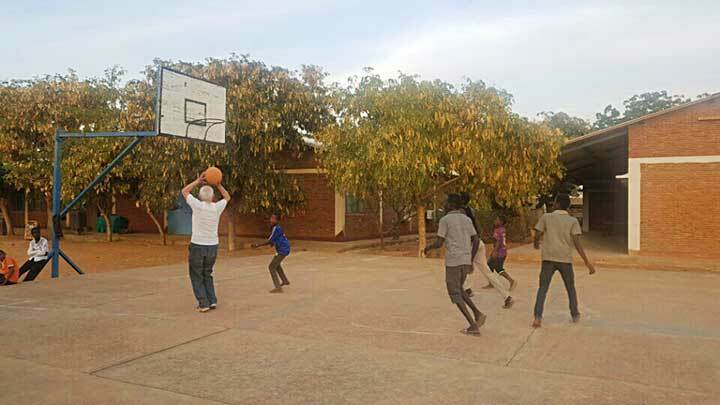 Recently, the school situation became difficult, Most of the teachers had been formed in the school, many of them recruited from the refugee camps, and all from what is now South Sudan. When the South declared independence, the majority wanted to return to their homeland. Recruiting new teachers With the know-how to teach practical subjects was not an easy problem and is not completely solved.